At 911 Restoration we believe that everyone deserves a fresh start, regardless of their age or circumstances. That is why it should come as no surprise that a lot of the work we do in the community involves helping kids and making a difference in the local youth’s lives. 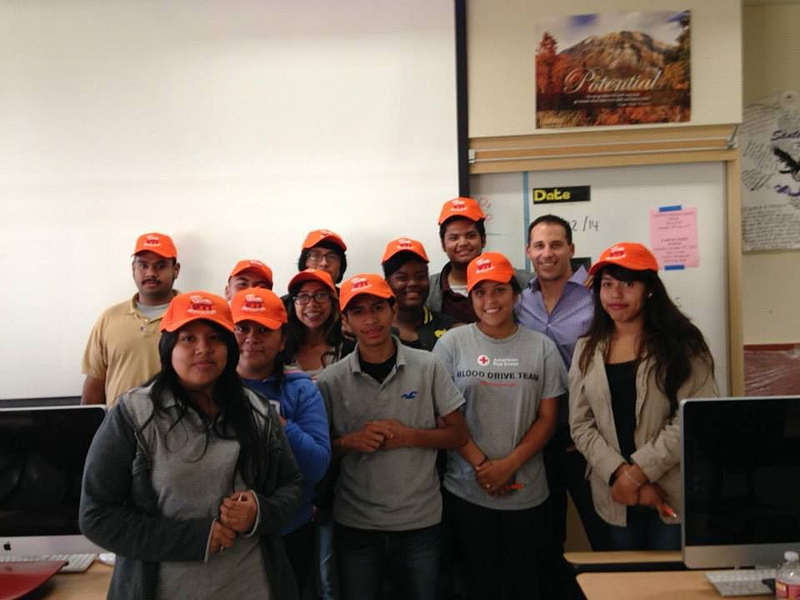 911 Restoration CEO Idan Shpizear recently visited Santee High School in Los Angeles as part of the Youth Business Alliance (YBA), a locally funded organization that focuses on bringing business skills and perspectives into the classroom by bringing business executives in to educate, inspire, and motivate students. Idan talked to the Santee students about staying positive, helping others, and making a difference in people’s lives. Idan will return to Santee High on November 11 to speak and follow up on the YBA program’s progress as well as any projects or presentations the students have created. Idan is extremely passionate about helping kids so in addition to his work with the YBA he also spends some time every month volunteering at his own children’s’ school. That way, he gets to give back while also enjoying extra time with his kids. For more information on Youth Business Alliance, visit their website at youthbizalliance.com.